Waitomo is situated in the central North Island, 222km south of Auckland and is renowned for its limestone caves and glow worms. 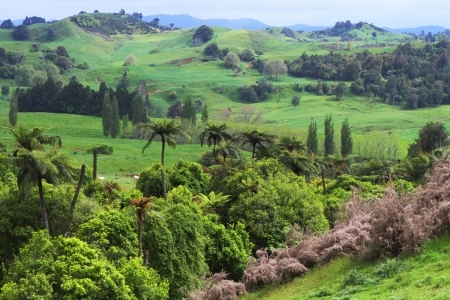 If you are looking for fun and adventure, then a day trip to Waitomo is well worth it. Waitomo is a Māori word which translate literally to water (wai) and hole (tomo). So as the name suggests your day will be involve plenty of caves and water (don’t worry you don’t have to get wet!) Over thousands of years, underground streams have created the caves by pushing through the soft limestone. The caves ceilings are littered with stalactites which have grown down over time. Watch your step as the cave floors are also abundant with stalactites growing up towards the ceiling. Adding to the beauty of the caves, is the myriad of native glow worms scattering the walls and ceiling. The New Zealand glow worm is just one of many creatures that produce light naturally. We can all agree they are most spectacular when viewed inside a dark cave, however it is common to find them outside as well. A glow worm is an insect called the fungus gnat and is at the larval stage of its life. The light is caused by a chemical reaction which produces an electronically excited product. Glow worms are rather cleaver and use this light to attract and catch insects to eat. When the glow worm is feeling hungry, it will shine even brighter to increase its chances of attracting other insects. The female glow worm also uses this light to attract her male mate. The Waitomo region has plenty of options, whether you want to sit back and take in the beauty or are feeling brave and want to tackle the challenge of black water rafting. Take a boat ride through the Waitomo Glow Worm Caves. 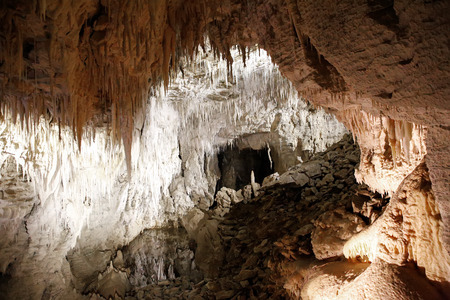 Put your walking shoes on and take a walking tour through the Ruakuri Cave. Climb, jump, and abseil down the caves before black water rafting on the Waitomo river. There are three main caves in the Waitomo region and all deserve a visit. Waitomo Glow Worm Caves are just outside the Waitomo Village. Here you can jump on a boat and cruise underground along the Waitomo River. Marvel at the light display of the glow worm grotto and enjoy the serene quietness. Ruakuri Cave translates to ‘den of dogs’ in English and was named after a pack of wild dogs made the entrance of the cave their home. This cave is New Zealand’s longest underground walking tour. Travel down the spiral entrance and see the stunning limestone formations, crystal tapestries and get close to the glow worms. Listen carefully and you can hear the subterranean waterfalls. Sheer beauty. Aranui Cave is named after the Māori man who discovered it back in 1910 abd can be found 5 minutes drive from the Waitomo Glow worm cave in the Ruakuri Scenic Reserve. This cave houses the smallest and most delicate stalactites and stalagmites. Without a river running through it, there is very little life living inside, however just inside the cave is a colony of native New Zealand cave Wetas. Above ground there is plenty to do. Enjoy the cafes, watch a local farm show or even head out on a horse trek. 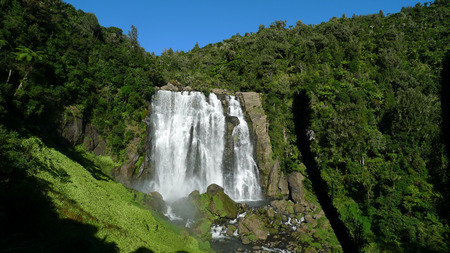 Stretch your legs before your journey back to Auckland and enjoy walking to the beautiful Marokopa falls and limestone Mangapohue Bridge. If a day trip to see the beauty of the Waitomo region sounds like you, contact our team at Corporate Coachlines and see how we can get you there.